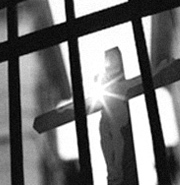 We provide a weekly Catholic presence in both Downstate Prison and in Fishkill Correctional Facility to study Scripture and to teach the Catholic faith to those men who choose to attend. Some of us volunteer at only one of the prisons and a few go to both. Most commit to two visits a month. Teams of two or three volunteers alternate weeks so every week is covered. There is an application process and an orientation required by the prison system.